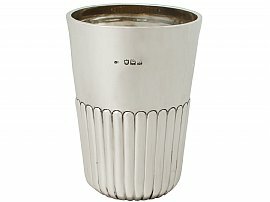 This exceptional antique sterling silver beaker has a plain tapering cylindrical, rounded form. The lower portion of the body of this Victorian beaker is encircled with impressive embossed fluted decoration. The interior of this impressive beaker retains the original gilding. 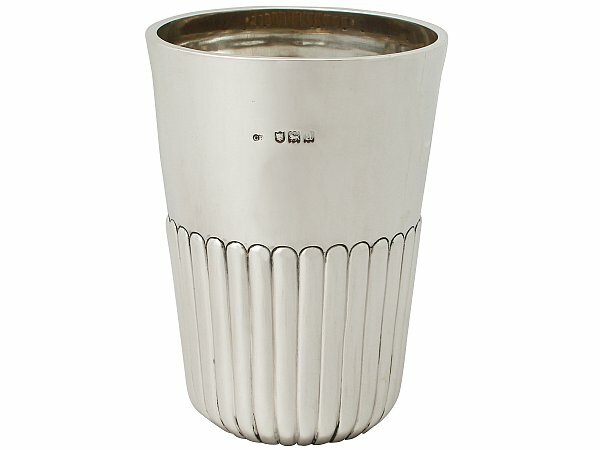 This Victorian beaker is a superior gauge of silver for its type, exceptional quality and in exceptional condition. Full hallmarks struck to the surface of the beaker are all very clear, in keeping with age and location.